It has finally come down to the last two to determine the champion of the first major tournament of the year. The 2018 Vodafone Fiji FACT final will feature the hosts Rewa battling on Labasa for the title defense this Sunday. Defending champion would have an uphill battle against the mighty Babasiga Lions. Both teams have already met during the final pool match at the same venue two weeks earlier where the fans witnessed a one-sided encounter with Labasa recording a convincing 4-0 win. However, it will be a totally different ball-game this time and coach Marika Rodu would come up with a game-plan to counter the tournament favourites Labasa. Prolific striker Setareki Hughes will definitely be the player to watch as his 35th minute screamer broke the hearts of the highly-rated Lautoka during the second semifinal at Churchill Park last Sunday. Undoubtedly, it will also be a battle of the goalkeepers as Rewa stopper Benito Waqavou gave a man-of-the-match performance last Sunday and the fans would expect a same feat if he is given the starting lineup. Labasa goalkeeper Akuila Mateisuva was equally vigilant under the sticks as he denied the Nadi attackers on numerous occasions in their 2-0 win in the first semifinal. Mateisuva has conceded only goal in the tournament while Waqavou remains on a clean-sheet. Epeli Loaniceva was the goalkeeper for Rewa in their 4-0 defeat to Labasa in the last pool match. Coach Rodu says the focus now shifts to the grand final. “It was a very tough semifinal and I thank my boys for giving their best.“My young brigade gave their best and did not disappoint against a tough opponent like Lautoka. We scored first and defended very well. “Hats off to my boys and we will now focus on the final,” Rodu said after the semifinal win against Lautoka last Sunday. And for the Babasiga Lions, it was in 2015 when they last featured in the FACT final and they defeated Rewa 2-0 to lift the trophy at Nadi’s Prince Charles Park. Tagged as the tournament favourites, coach Anand Sami also has a lot to prove. The Babasiga Lions started their campaign on a high registering an opening 2-0 win over Dreketi, settling for a 1-all draw against Ba, convincing 4-0 win against Rewa and outclassing Nadi in the semifinals with two unanswered goals. Rewa is up next again. 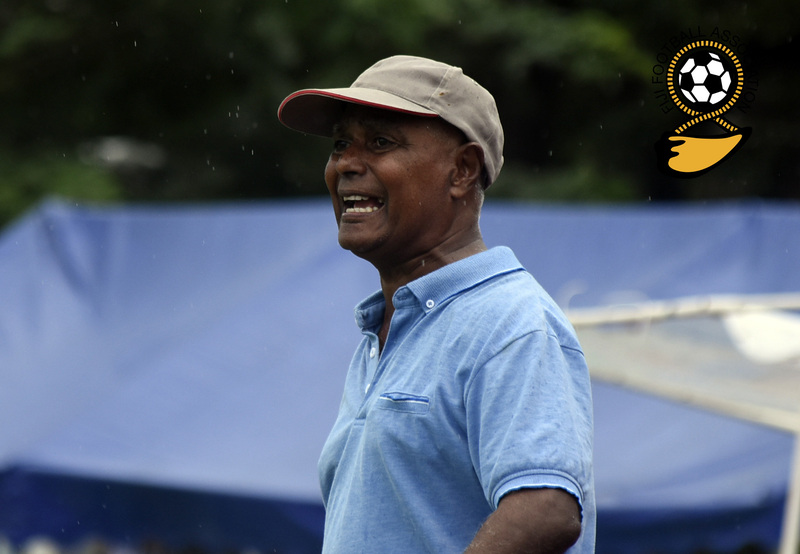 While the hard work of players and fans’ support is obviously recognized, Labasa coach and one of Fiji’s football icon, Sami, commended the sponsors for backing the team. “We played according to the game plan and the boys gave their very best. Nadi was a good opponent and they threatened us at times. “I want to personally thank Galaxy Hotel for sponsoring my trip and stay. Through this sponsorship everything was made possible. They also are our team sponsors and we thank them,” Sami mentioned after the semifinal win against Nadi. Certainly, it will be the survival of the fittest. Will it be a repeat of 2015 feat or a successful title defense? The rhetorical question to be answered 2pm at Ratu Cakobau Park this Sunday.